- 5 / 7 / 9 / 11 / 13 Rollers in two-axis depending on accuracy requirement. We are offering a wide gamut of superbly engineered machines that offer higher production and trustworthy operation. We are offering a wide range of Automatic Wire Straightening & Cutting Machines. With sincerity and hard work of our professionals, we have carved a niche for ourselves in this domain by providing a premium quality gamut of Wire Cutting Straightening Machine. AUTOKAGE manufactures precision wire straighteners in single or dual axis configurations from 3 rolls to 13 rolls and wire diameters from 0.8 mm to 12 mm. Featured here is a linear straightener with a common adjustment facility for easy setting. 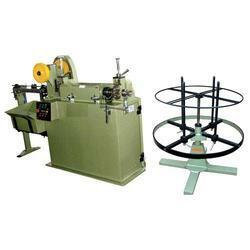 Bumra Industrial Corporation offers a quality range of Wire Straightening and Cutting Machine.